Currently, the yield on a 10-year Treasury note is 1.5%. 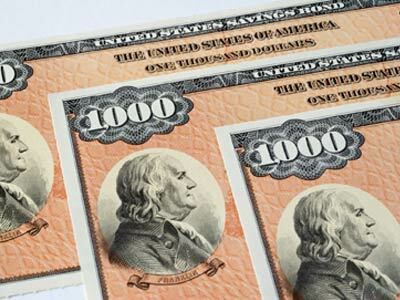 This means that if you invest in a 10-year Treasury note, you will receive 1.5% interest over the next 10 years. Considering that inflation averages close to 3% per year, 1.5% is not very attractive. After all, you will be losing purchasing power every year. Unfortunately, there are risks with both of these choices. If you were to invest in lower quality bonds, the risk of the company defaulting increases and you risk losing your money. This is one of the reasons why the bond is lower quality. If you are willing to take on this risk, you may want to look into lower quality bonds. Investing in longer term bonds, such as the 30-year Treasury will currently earn you 3%. This is in line with inflation, but isn’t much better than the 10-year Treasury. The risk with investing in this bond is twofold. First, you tie up your money for 30 years. Secondly, if interest rates rise, no one is going to want to invest in a bond with a 3% yield if they can invest in a comparable bond and earn 5%. Because of this, the price of your bond will decrease to entice investors to buy the bond. Are there any better options? Below are three options you could choose to make to help get you through the low yield environment that we are currently in. Currently, the Vanguard Short-Term Bond Fund is yielding 1.66%. That is better than the 10-year Treasury and with the fund holdings having short maturities, it will react less harshly to changes in interest rates. It also will allow you to invest in higher yielding bonds when they become available because of the short maturity cycle. You can also take your money and divide it up amongst short-term, intermediate term, and long-term bonds. This allows you to earn a range of returns. It also cuts down on interest rate risk. With bonds maturing at different time intervals, you will be able to re-invest your money at hopefully higher interest rates. This adds risk to your portfolio, but isn’t as risky as many think. Currently, the Vanguard S&P 500 Index fund is yielding 2.31%. You not only earn the yield, but also have the opportunity of the underlying companies increasing their dividends and earnings, which will not only increase the yield but will also allow the fund price to increase in value, earning you an even higher return. In all, there are many options to increase yield in this low rate environment. Rates won’t stay low forever, so it is best not to lock up your money in long-term bonds just for an increase of a few percentage points of yield. You are better off investing in short-term bonds to keep your money liquid so that you can take advantage when rates begin to rise. You also may want to consider increasing your stock holdings. As I mentioned above, doing this does add risk, but you should assess your risk tolerance to see if you are comfortable with the risk. If you are, you can increase your returns by investing in stocks versus longer term bonds. Thanks for writing this and confirming my suspicions – investing in bonds at the moment is not really worth it. BTW, shares don’t look much better. So back to the drawing board, I go.